With the 2016/17 Liga MX campaign almost over, there are plenty of stats to look at and analyse. One of the best websites/apps to look at is Sofascore, as they show plenty of player stats. Seeing which players have scored the most goals, made the most dribbles, and won the most tackles is interesting, but limited. These stats don’t take into account factors such as the number of shots a player has attempted, or how many minutes they’ve played. Therefore, this article aims to look deeper, at the efficiency of players, using various methods to try to create stats that can have a significant impact on determining the best performers in Liga MX across 2016/17. The four criteria covered are finishing, creativity, dribbling and winning possession. Credit goes to Sofascore for the stats in this article. All of the stats have either come directly from Sofascore, or been created using multiple Sofascore stats. Also note that one player, Dayro Moreno, has been omitted from the first section, as he no longer plays in Liga MX. The finishing section of this article aims to find out who, out of the top scorers across 2016/17, has been the most efficient at finding the back of the net. In order to do this, shots attempted has been divided by goals scored, creating a ‘shots per goal’ stat. The table below also shows how many big chances each player has missed, according to Sofascore. Silvio Romero has statistically been the most clinical finisher in Liga MX this season, taking 3.3 shots to score. 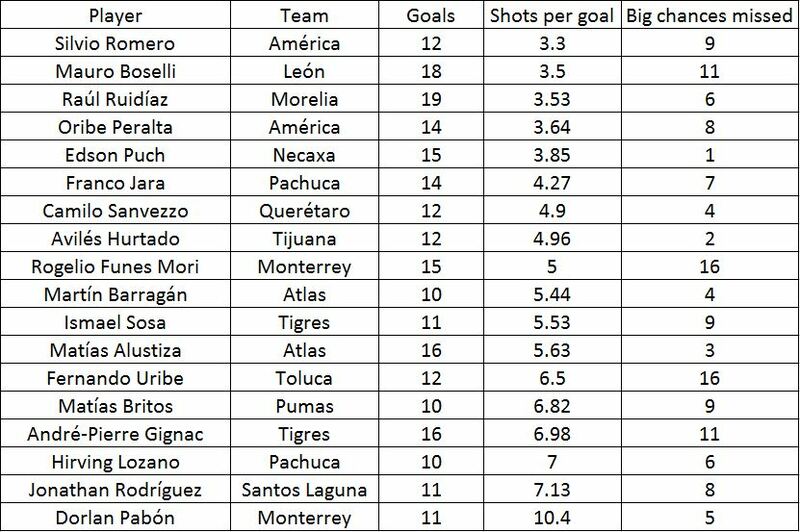 The América striker is one of 5 players on the list to have required fewer than 4 shots to find the back of the net on average. Dorlan Pabón is by far the least efficient finisher on the list, averaging a goal every 10.4 shots. This is unsurprising considering the amount of long shots the Monterrey forward attempts. Interestingly, Romero and Mauro Boselli lead this chart despite ranking in the top 5 for big chances missed. Perhaps this shows their teammates are creating plenty of good opportunities, or maybe they’ve been more efficient at scoring smaller chances. Liga MX’s biggest star, André-Pierre Gignac, doesn’t rank well on this table. The ex-Marseille striker has missed a joint second highest 11 big chances, and requires almost 7 shots to find the back of the net. More impressive is the positions of Edson Puch and Avilés Hurtado, inside the top-10. Puch and Hurtado are ranked 5th and 8th in scoring efficiency despite not playing as centre forwards. The pair have missed just 3 big chances between them, probably evidence that as attacking midfielders, they aren’t presented with big opportunities as regularly as centre forwards. Creativity is assessed in two parts; key passes and big chances created. Both are defined by Sofascore and therefore subject to their conditions. ‘Key passes’ and ‘big chances’ are subjective, so this data shouldn’t be taken as fact, but is a good guideline. Key passes and big chances created have been divided by the number of passes that each player has attempted, in order to find the most efficient creative players in Liga MX. Dividing by attempted passes helps to control for number of minutes played and the amount of possession that each team has had across 2016/17. However, it doesn’t factor in where these passes have been attempted from. The chart has been ordered by key passes rather than big chances created, as this figure should be impacted less by the strength of the player’s team and their opponents. The data appears to suggest that “Chofis” López is the most efficient creator in Liga MX. The Chivas attacking midfielder makes a key pass for every 12.47 passes that he attempts, the best rate on the chart, and ranks third on the rate of creating big chances. 3 León players sit in the top 7 for attempted passes per key pass. This suggests that Javier Torrente’s style has had a large effect on the efficiency of his player’s creativity. León play a direct style of football, with players often looking to play killer passes. Hence, few passes are attempted for each key pass made. It also brings into question the value of this data. León’s style may have resulted in 3 of their players being efficient at playing key passes, but they haven’t had a great season, and have perhaps given the ball away too often when trying to play direct. The majority of the list is made up of attacking midfielders and wingers, which makes Milton Caraglio (target man striker), Luis Reyes (left-back) and Erick Gutiérrez (deep-lying midfielder) stand out. It’s highly impressive that the 3 have made the list, considering that they’re the only players in their respective roles to have met the criteria. “Guty” is particularly noteworthy, as he has comfortably the best passing accuracy on the chart, at 88%. Dribbling efficiency is worked out as number of dribbles completed per 90 minutes. The table also displays dribble attempts per 90 minutes. This method of working leaves the stats to be influenced by a number of factors, such as; how often a player receives possession, where they get the ball, and the tactics of a player’s team. For example, Tigres players may dribble less as Tuca Ferretti’s style is to retain possession by taking few risks. Avilés Hurtado is the only player to have completed more than 3 dribbles per 90 minutes. 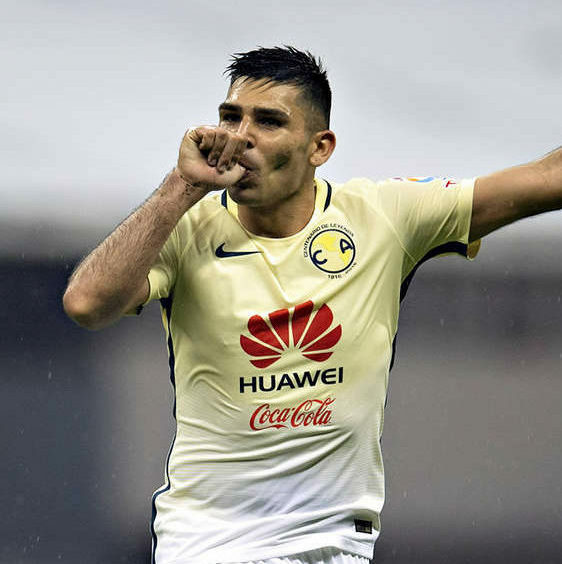 Some expected names then follow; “Darwin” Quintero, Joao Rojas and “Rifle” Andrade, all of whom have been known as some of Liga MX’s best dribblers for a few years. Whilst that trio have completed a similar number of dribbles per 90 minutes, it’s important to note how many more dribbles Quintero has attempted, over 7 per 90 minutes. Darwin is a big risk taker, perhaps too big considering how often he fails to complete dribbles. Jeronimo Amione and Jonathan Rodríguez are the main surprises on the table. Amione has perhaps made it so high due to his importance at Puebla, but it’s still an impressive achievement. Rodríguez’s appearance shows he offers Santos more than just an ability to finish chances. Another surprise is how low “Chucky” is on the list. There are many explanations for this. 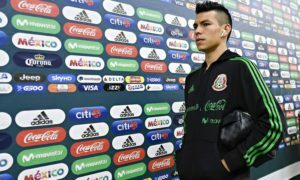 Perhaps it’s a reason why Lozano has been off his top form for a while now, and hasn’t scored since January. 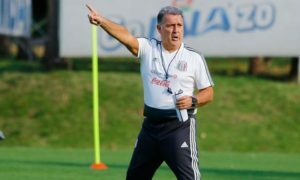 Alternatively, it could be a result of “Chucky” looking to shoot more often than players like Joao Rojas or Renato Ibarra, or due to defenders paying closer attention to the Mexican prospect. Orbelín Pineda is the only central midfielder on the list, displaying how significant he is to Chivas’ game. 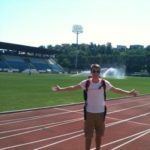 The final part of this article looks at tackles and interceptions in order to work out which players have been the most effective at winning possession. Tackles and interceptions don’t cover every aspect of winning possession, but it incorporates the majority. Like the dribbling table, number of tackles and interceptions have been calculated per 90 minutes. Guido Rodríguez has been the most efficient player at making tackles and interceptions in Liga MX across the 2016/17 season. 7.16 per 90 minutes is highly impressive. A couple of surprising names follow Rodríguez; Brayan Beckeles and Jamie Gómez. Both player’s stats will have benefited from their sides keeping little possession for the majority of the campaign. 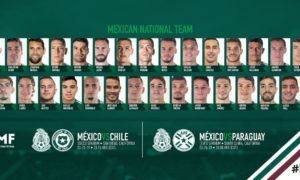 Some of Liga MX’s top centre-backs qualify for this list; Velázquez, Murillo, Izquierdoz, Jiménez and Aguilar, plus Tigres’ key holding midfielder Guido Pizarro. Amongst them is Santos’ youngster Jorge Sánchez. His inclusion is excellent proof of how well young Sánchez has done since breaking into the Santos team. The teenager is certainly a great prospect for El Tri. Overall, the list contains 4 right-backs (all of whom are ranked inside the top-7), but no left-backs. Bizarre.